Our goal is to help provide a much needed resource for the local southern California Mountains. Through this we hope to make it a safer environment for all who travel in the backcountry by providing information that to this point has not been available. We are working to promote awareness and education for these lovely mountain areas and encourage everyone to use this site and continue to seek out education for safer backcountry adventure. Please use our resources page for information to expand your knowledge, this area will continue to grow as we develop this program. This site is for you and your involvement is greatly appreciated. Please give us your input from your observations in the backcountry (submit report) and should you have suggestions use our (contact us) section. An avid outdoor enthusiast and snow geek. Allen was the former Vice President of Snowboarding for Team Mountain High. He is the owner and lead guide of Further Your Adventure, an American Mountain Guide Association Single pitch instructor and aspirant Ski Guide, an avalanche Level 1 and Level 2 instructor with the National Ski Patrol, a member of the American Avalanche Association (AAA), a member of the American Mountain Guide Association (AMGA), a certified Wilderness First Responder (WFR) and founder of (Emerald Gardens and Landscape), a sustainable landscaping company working everyday to save our winters one property at a time. He received the National Ski Patrol award for outstanding avalanche instructor in 2014 and was recently featured on MSNBC Split Second Decision as expert commentator for the avalanche ahead episode. When not in the local mountains completing snow pack studies for the avalanche center, he can be found somewhere splitboard mountaineering in search of steep, deep powder filled descents, rock climbing, kayaking, back packing or doing anything else that gets him outside. Angeles Section Chief and Avalanche Instructor for National Ski Patrol Southern California Region. Born and raised around the ocean in the US Virgin Islands, David is currently living the dream in Bishop, California. Ski mountaineer, splitboarder, climber, surfer, and whitewater enthusiast. Works as both an EMT in Bishop and a river guide on the Kern River. Certifications include Wilderness EMT, American Avalanche Association level 2, and River Rescue 3. Also volunteers with the Inyo County Sheriff's Search and Rescue team, serving as a board member and committee leader. Graduated from Cal Poly San Luis Obispo in 2012 with an Environmental Engineering degree, but is now pursuing a career as a physician. National Ski Patrol Southern California Avalanche Education Advisor. Josh has fervor for both outdoor recreation and teaching, and he has spent almost two decades trying to marry his passions. Josh has worked as a climbing, river and mountain guide throughout the West and Alaska. 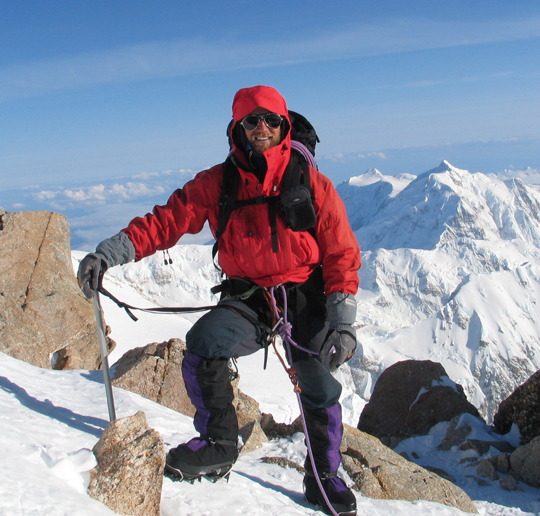 He has his Bachelor’s degree in Adventure Education and Wilderness Leadership from Prescott College and a Master’s degree in Outdoor Experiential Higher Education from the University of Alaska Fairbanks. Josh is a certified Wilderness EMT, Whitewater Rescue Technician and AMGA Rock instructor. In addition to working as an Outward Bound instructor, climbing gym manager, wilderness therapy facilitator, field program manager and the Outing Director for The University of California San Diego, he has served as adjunct faculty at colleges and universities, teaching such courses as expeditionary sea kayaking, white water rafting, rock climbing, back country skiing, ice climbing, surfing, winter camping, map & compass, adventure education and wilderness leadership. Josh currently works as the Executive Director of WLI teaching courses in all program areas as well as being a lead instructor for Wilderness Medical Associates and an SPI Provider for the American Mountain Guide Association.